Earlier this week, my eight year-old son and I headed to Washington, DC so he could participate in an educational event at the National Archives (their Learning Lab’s “Constitution in Action” class, which I would highly recommend to parents looking for a free activity to keep your children engaged in learning over the summer). My son was so excited to ride the subway into the city, and he loved looking at all the important and historical buildings there. He loved the class, where he got to wear a protective jacket and gloves and handle actual historical documents. After class, we walked to Chinatown and had lunch at Wok and Roll, an awesome but small Chinese and Japanese restaurant near the Verizon Center. I had spicy salmon, spicy tuna and spicy crunchy shrimp rolls and my kid ate a whole order of gyoza and an entire California Roll (all that walking must have worked up his appetite!). In the afternoon, we visited the Smithsonian’s National Museum of American History, where an exhibition on food in America is currently on view. 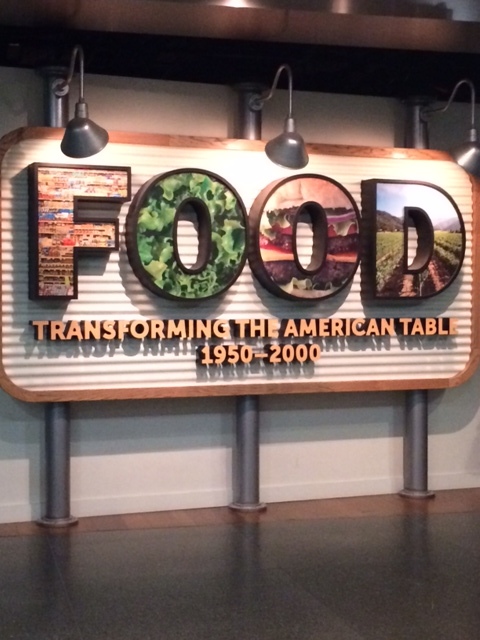 The “Food: Transforming the American Table, 1950-2000” exhibit covers the many ways in which our food system has changed over the past half-century. 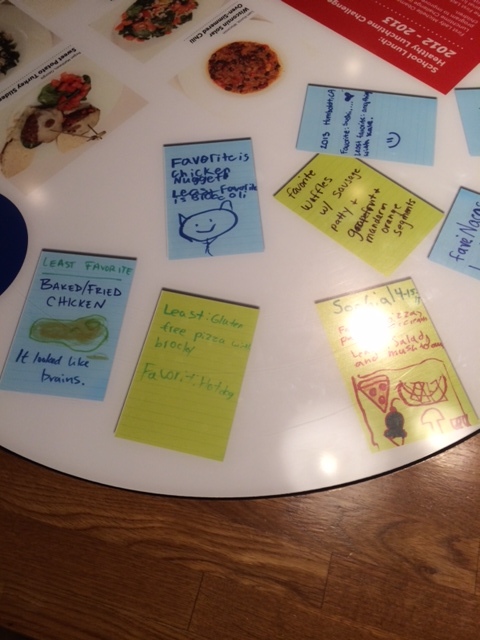 My son liked the school lunch table in the center of the exhibit, where lazy susan-like rounds offered information on how kids ate in school from the 1950’s to today. 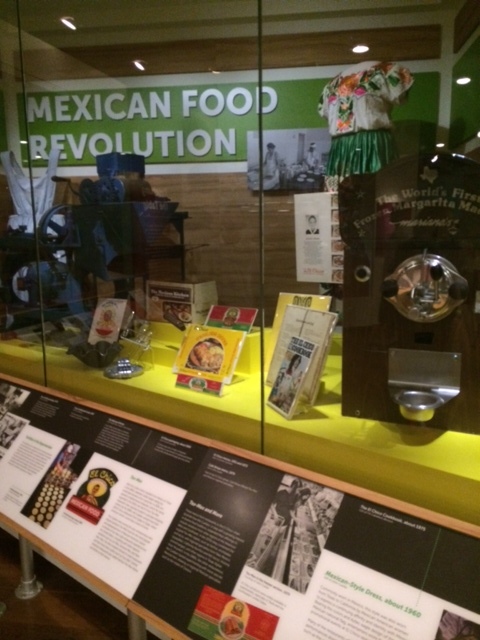 Along the outside walls of the exhibit space, different food movements were showcased, from fast food and multicultural cuisine to the growth of farmers markets and the local food movement. A special section on American wine production highlighted Virginia wines, as well as the agricultural aspect of growing wine grapes. At the front of the exhibit space, Julia Child’s kitchen has been re-created, and clips of her cooking shows are on view. Through her career spanning the 1940’s to her death in 2004, Julia Child introduced millions of Americans to the joys of home cooking, and to methods and foodways that inspired her. 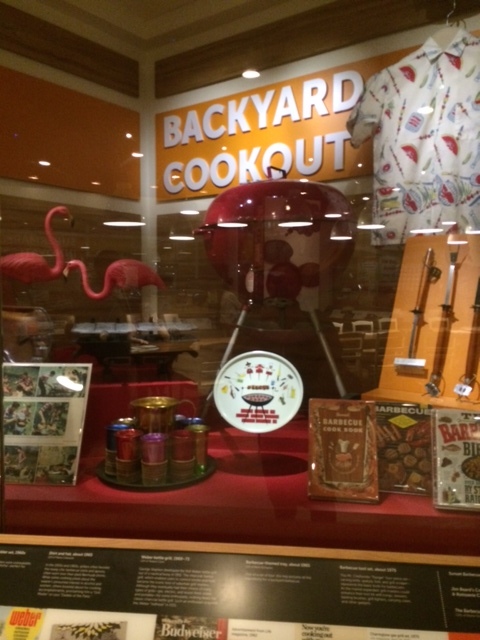 A replica of her kitchen, along with items she donated to the Smithsonian, depict her life in food. The exhibit has a companion educational website that allows visitors to prepare for their visit and offers additional information for further study.